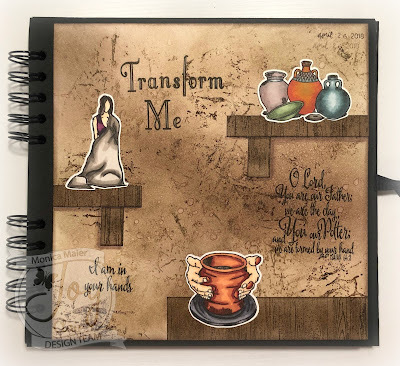 Today is the start of the ATSM Clean and Simple challenge. 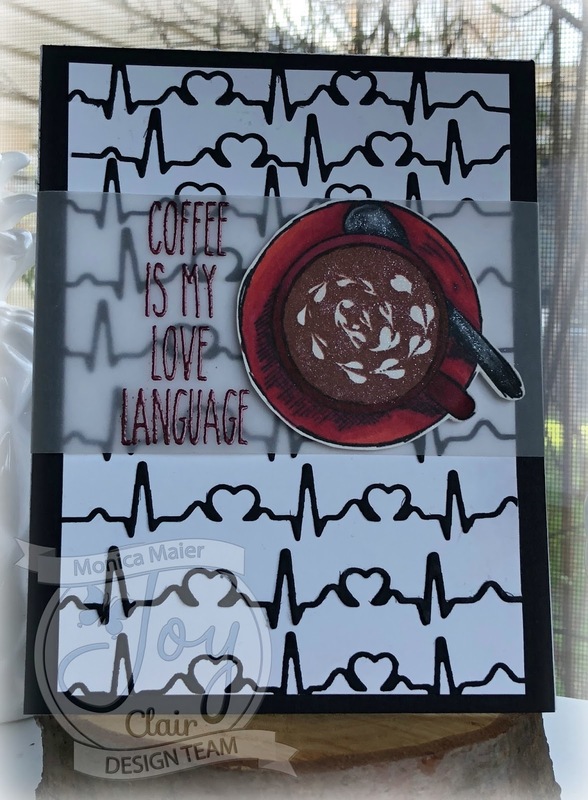 For today's card I used a new set from Stampin' Up that will be available in the new 2018-2019 book. 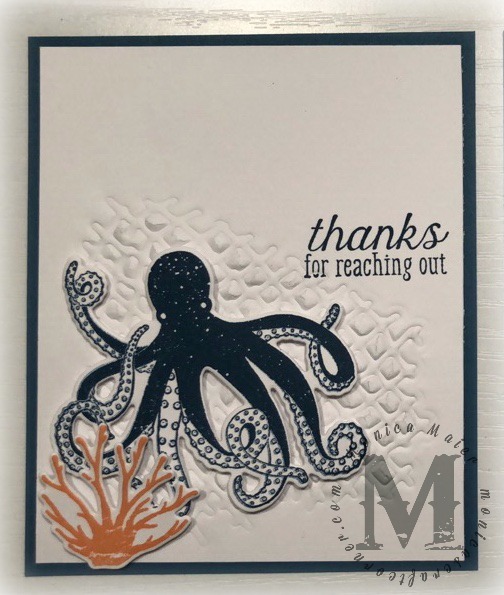 I just adore the octopus and the texture I got from using the fish net die as an embossing folder. 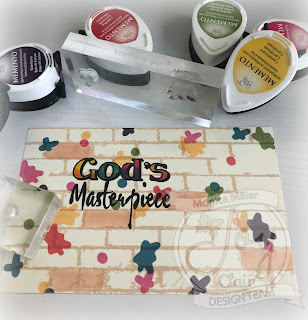 Don't forget to stop by the blog and play with this weeks CAS challenge, I can't wait to see what you share with us. Thanks as always for stopping by! Feel free to leave a comment and follow the blog for updates with new posts! I used the new set Classic Father's Day for my card today and drew inspiration from a sketch I saw on Pinterest. I stared stamping my image on three squares. Found some iridescent silver specialty cardstock and ran it through my Big Kick with an embossing folder. 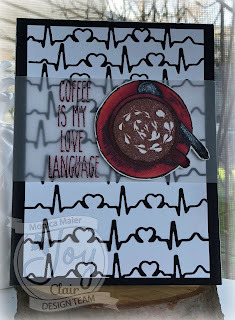 I stamped my sentiment on some scratch cardstock and cut it down for the banner. I adhered the embossed panel and banner on the cardbase. 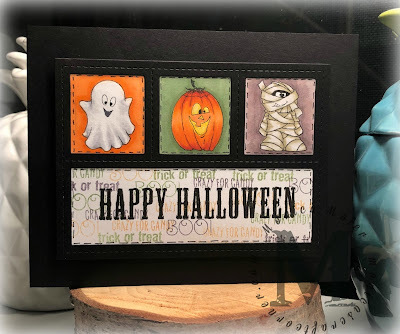 I layered the stamped squares on some cardstock and popped them on the cardbase with foam adhesive. It ended up being slitghtly monochromatic card, but I really like how the speciality works with the blue! Thank you for stopping by and have a great week! Well since they were in my hand, I thought no time like the present to put them to use. 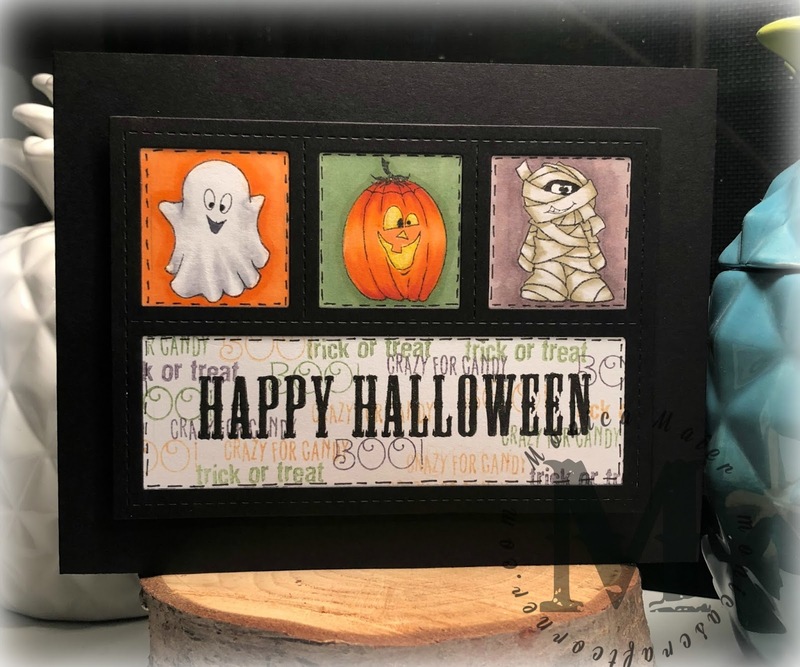 I know it's not even summer yet and I made a halloween card... (even my youngest asked why), but when an idea strikes you go with it! 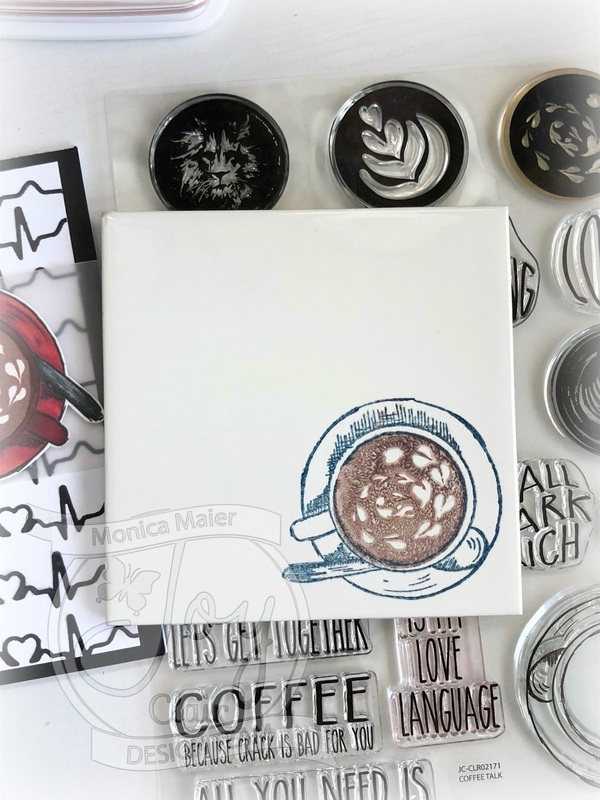 Using a die from MFT I measured where my images should go before stamping them. Colored the images and their backgrounds with copics. For the sentiment window I decided to add coordinating colors by stamping smaller sentiments in the colors of the squares above. Finished the card by add hearing the panel to the cardbase and adding stitching to the window borders. 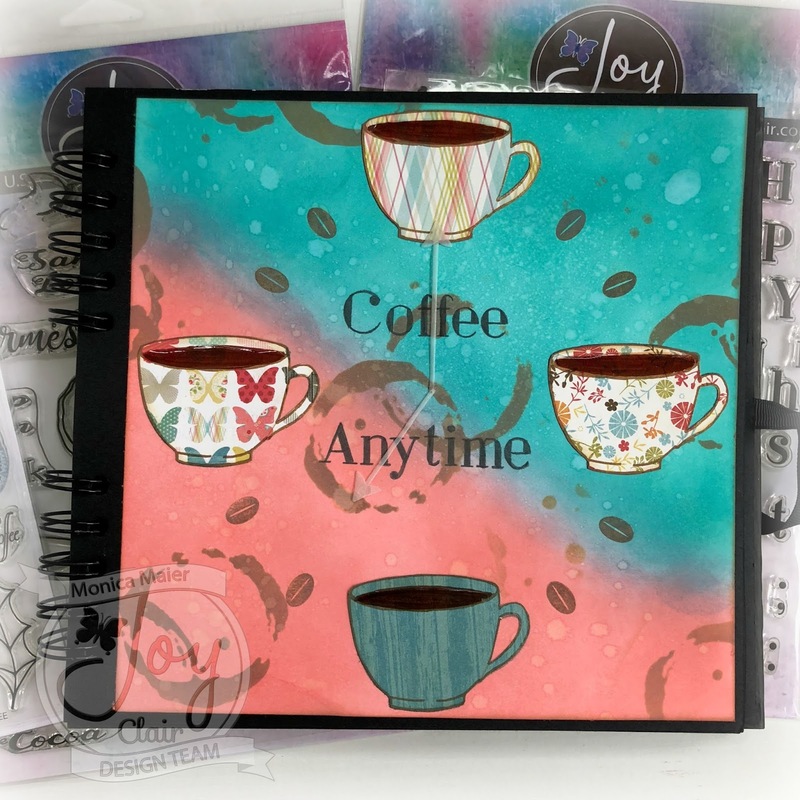 Today we are joy Clair are joining forces with friends at Coffee Loving Cardmakers for a blog hop! Hope you enjoy hopping along to see what everyone is creating for the hop. I ended up making two projects for today using the new set Coffee Talk. I did attempt to use my misti for the project in case I needed to stamp the image again. I used a pigment ink and had to be careful to not smear the ink. I've only done this once before so I'm sure there are better tips and tricks, but so far so good. I think it's cute and plan to make more or try different techniques. 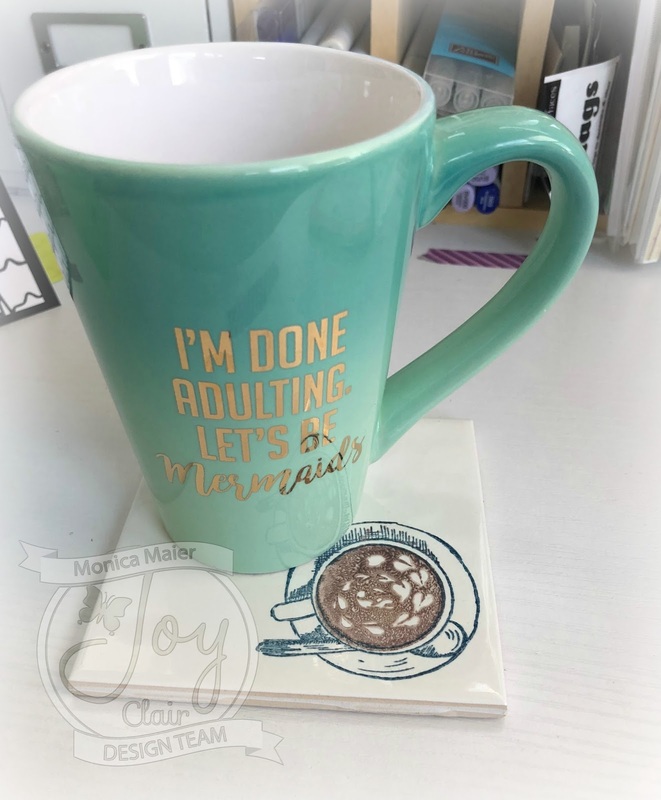 I know my parents wouldn't mind getting a set as a gift. ;-) Then I could use me second project to go with it. I used the same images from the Coffee Talk set since they were already out and added a sentiment. I created a background with a die I have in my stash, I thought it was a good addition to the sentiment. 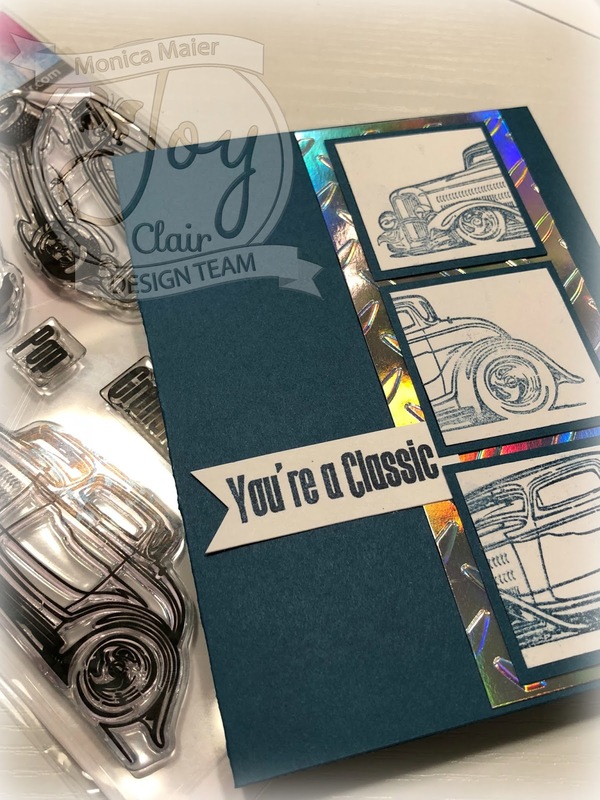 It's a new month and time for a release blog hop for Joy Clair! 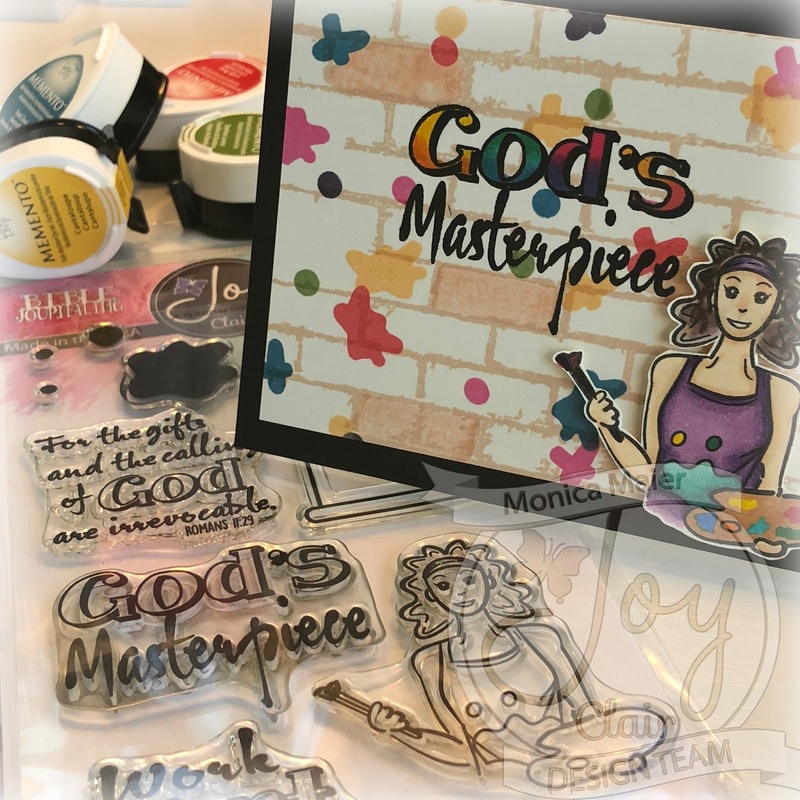 You should be coming from Martha's blog if you are hopping in order, if not and you want to start at the beginning click here! 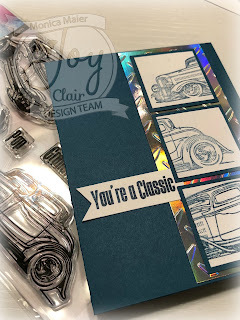 Stop by the Joy Clair blog to see all the inspiration and the new sets! There are many wonderful new sets to ogle! 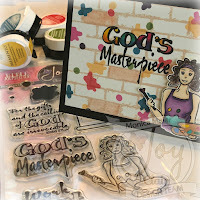 For my post I'm show casing God's Masterpeice, I love this set!!! Aren't the images and sentiments awesome! I stamped the bricks first and then sentiment. 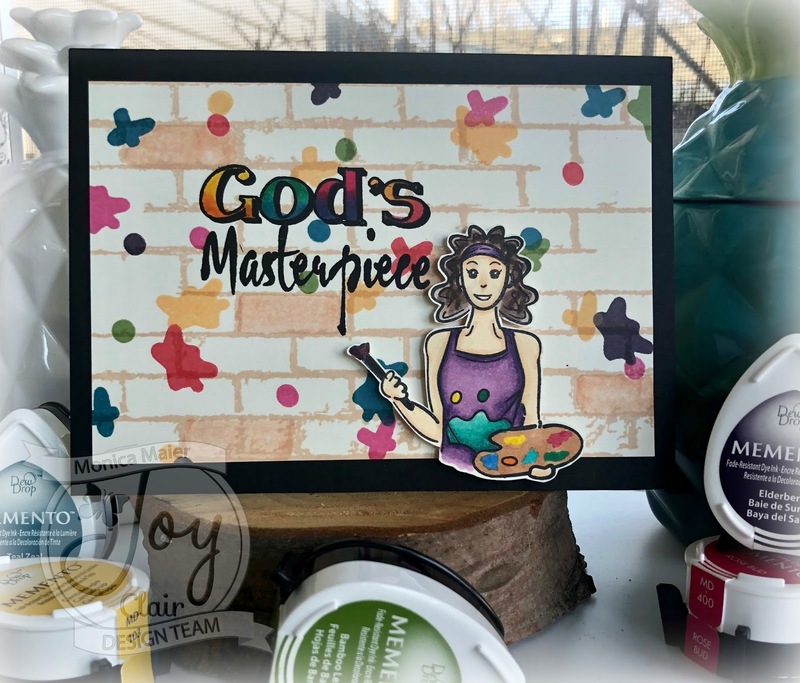 I used copics to color the sentiment so that each letter had gradient color and a few of the bricks in the back ground. Then stamped the splatters in various colors. 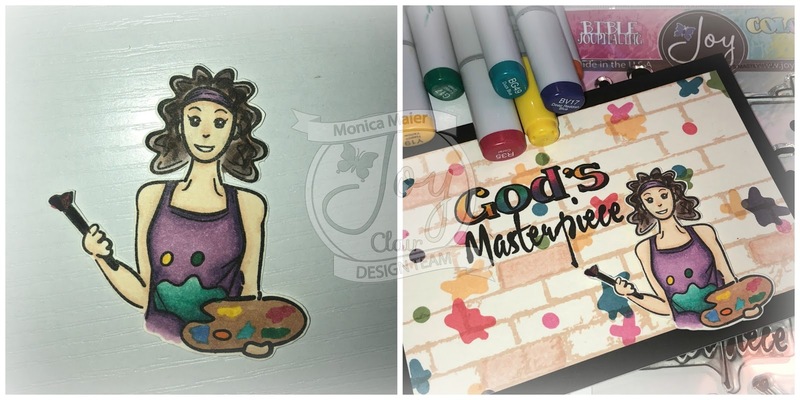 I stamped the artist and colored her with copics as well, adding some color to the paint palette as well, before fussy cutting her. I adhered the panel to the card base. Then I adhered the artist using foam adhesive to pop her up a little. 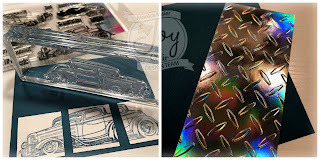 It's the start of another challenge over at ATSM and it's a photo inspiration! 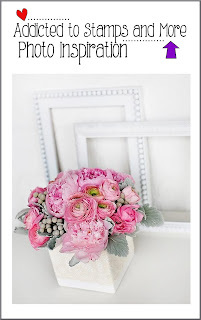 Love the chic look of the photo with it's colors and textures on the frames. 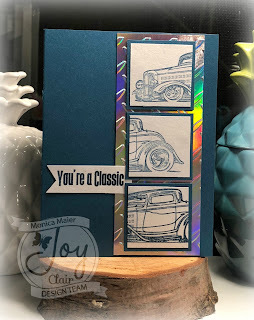 I chose the color theme to use for my card and wanted to add the texture from the frames. I started by stamping the images on the some light green cardstock. Since I used a layering stamp set on the cardstock, I started the first layer of stamping with some white pigment ink. 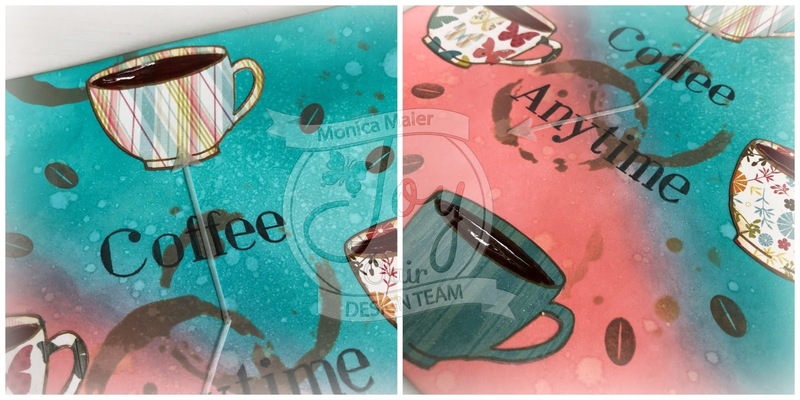 Then layered the other colors on top and used the matching dies to cut them out. 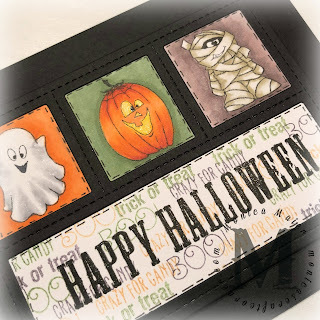 I ran the white panel through my die cutting machine with an embossing folder. 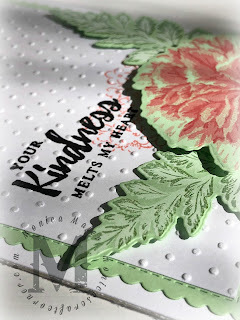 I realized after I embossed that I had forgotten to stamp my sentiment and the little flowers first... Doh! 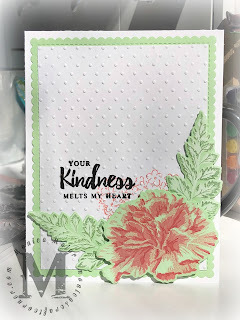 So I used my MISTI to carefully stamp the sentiment and flowers. 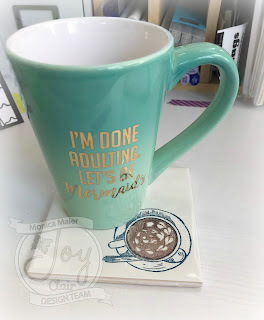 Which worked out great since I knew I'd have to stamp it a few times because of the embossed texture. 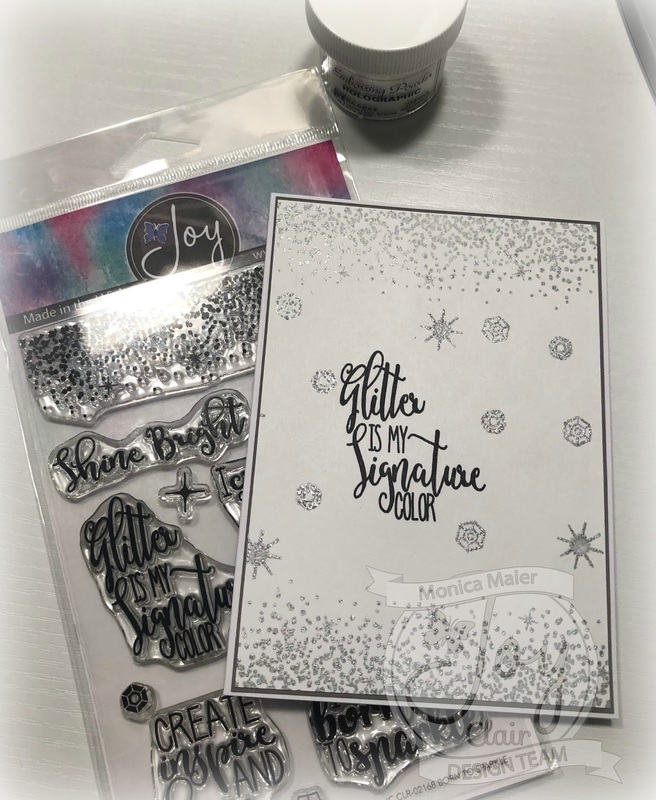 There were a few spots in the sentiment that I couldn't get to stamp correctly, so I used a micron pen to color those areas better. I glued the stems of the leaves directly to the card panel under the carnation popping the leaf tips up with a pop dot and adhered the carnation with foam adhesive as well to finish the card! Just love the look with the dimension and texture!